12ft Protective cover for round 3.66 m in diameter trampoline. A 12ft/3.60 m trampoline cover for winter protection. There is nothing easier than to use this 12ft/3.60 m in diameter protective cover to protect your round trampoline of 3.66 m in diameter this winter. 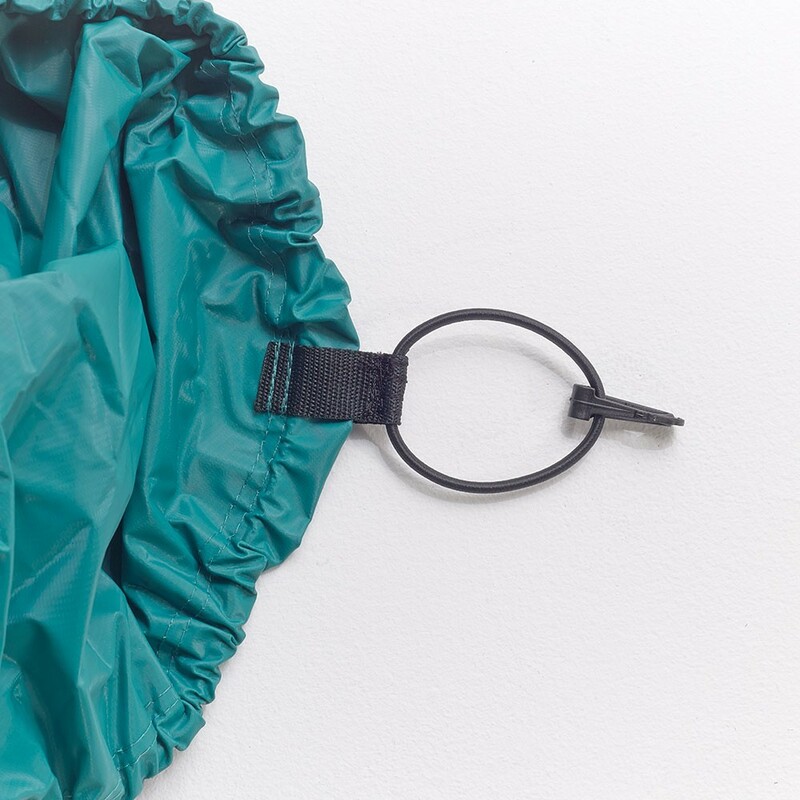 Designed using solid and resistant materials, this cover guarantees that you will get many wonderful years of use from your trampoline. 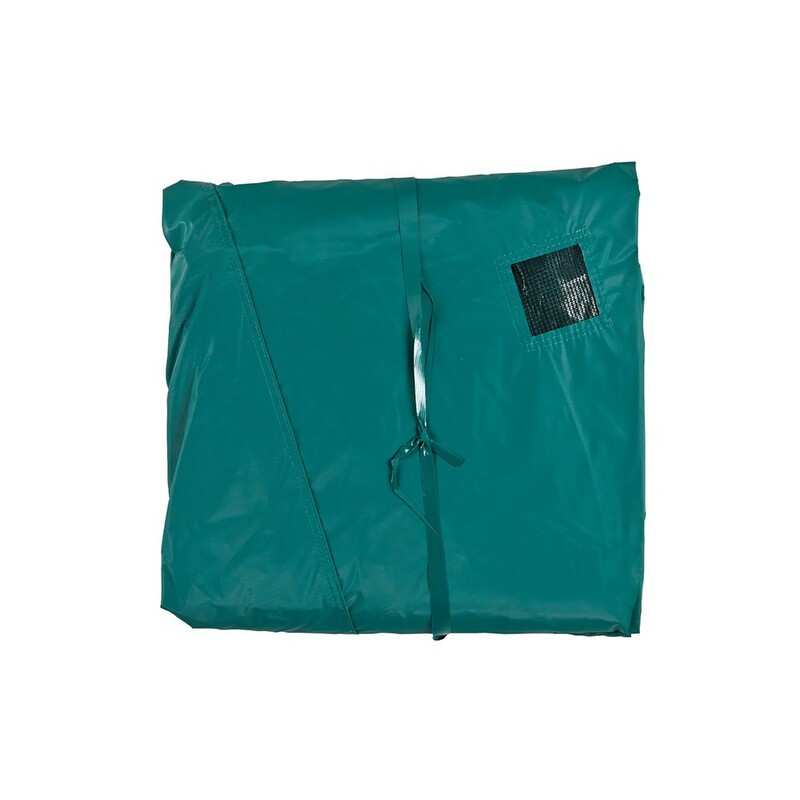 - This protection cover is adapted to all trampolines of 3.66 m in diameter. 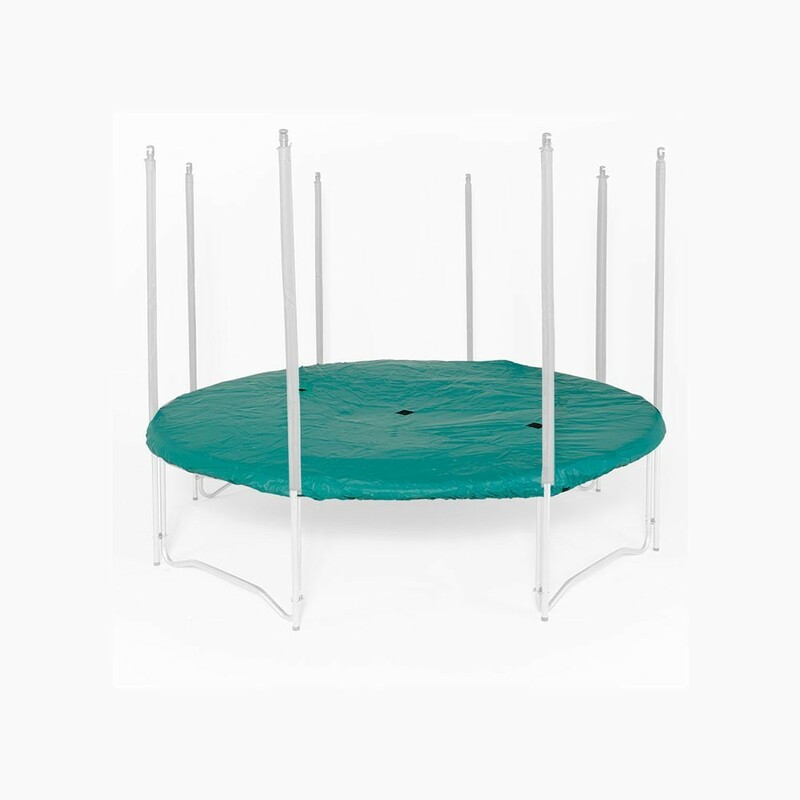 - The green PVC coating on this trampoline cover, has been UV protected for unequalled durability. 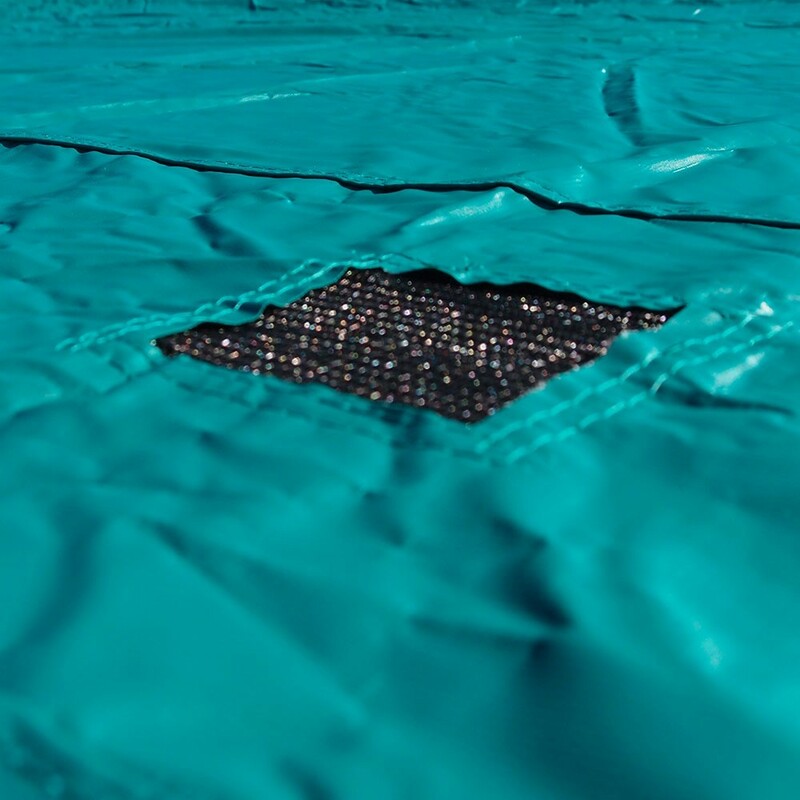 It is very thick, similar to lorry tarpaulins and has a density of 650 gr/m², which allows good protection of the different elements of your trampoline (jumping mat, frame pad and enclosure). 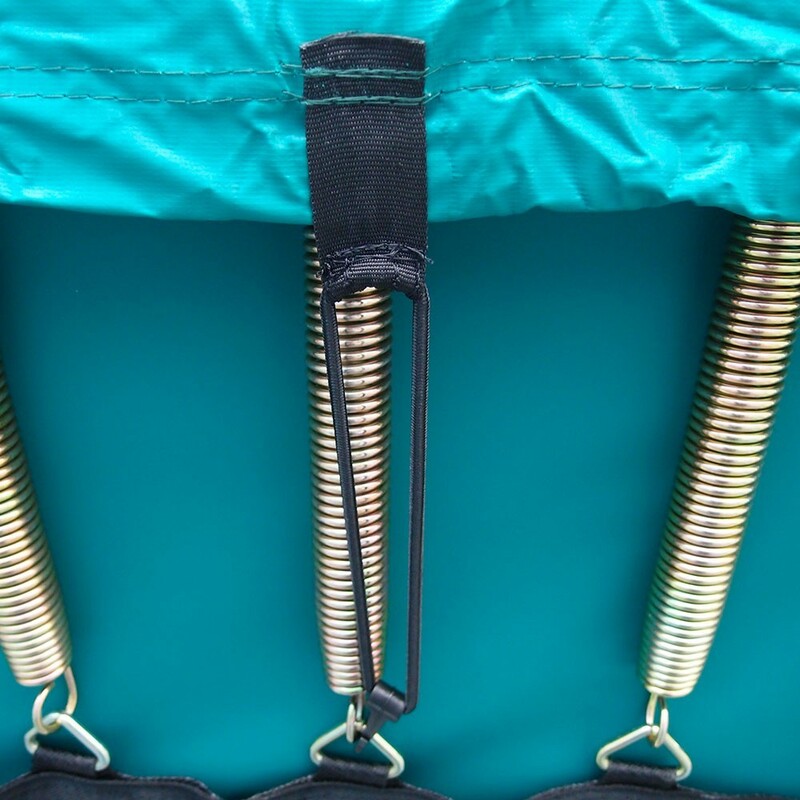 - Its fixation system is more developed than other products on the market as the elastic straps with hooks mean that it can be safely fixed to your trampoline. - Several water evacuation holes have been used to avoid large amounts of water from pooling on the cover and stretching the springs (this can happen on covers sold on low-cost sites). 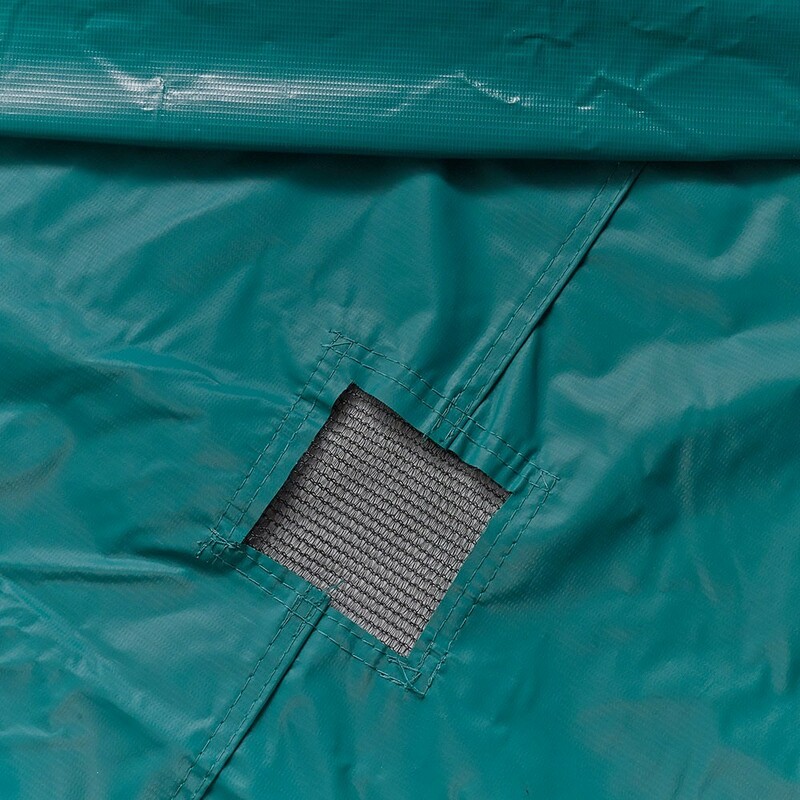 This cleanliness cover is easy to install on the steel framework of your trampoline and is an essential accessory to protect your trampoline through all four seasons (pollen, leaves, birds, etc…). It is more often used in autumn or winter but do not hesitate to use it in spring when you go on holiday or during the rainy season. Semble solide et de bonne qualité. A voir dans le temps. Pour le moment produit très bien. n'ayant pas de recul suffisant dans le temps je ne peux mettre que 4 étoiles. une saison hivernale à passer et on verra la qualité du produit.